This Thing Called Life! : Nothing is Impossible! I just love the little elephants in the Paperie Ink Tons of Thoughts stamp set, and used this little cute one for a project life page that will document my grandbaby's birth at two months premature and the fight be healthy and strong, I think the sentiment is perfect for the pictures that I will be using! I love the little accent stamps, this pinwheel is so cute! Fabulous cute image and great papers. 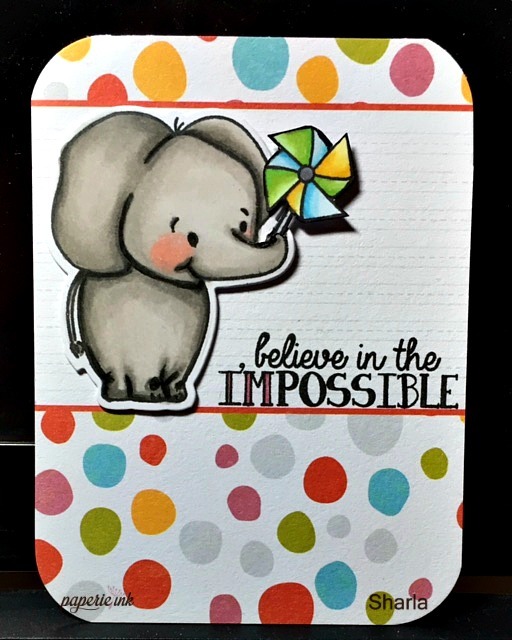 That is one cute elephie....Thanks for sharing it with us over at Brown Sugar Challenge!